Love that top! It looks great with the powder blue pants! 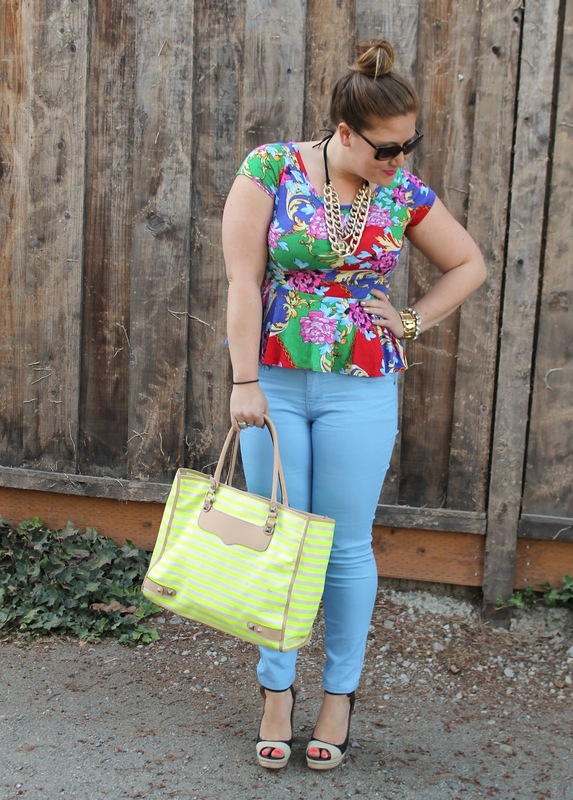 LOVE the bold print of your peplum! You rock it, even though you were apprehensive it looks great! Necklace = AMAZEBALLS! 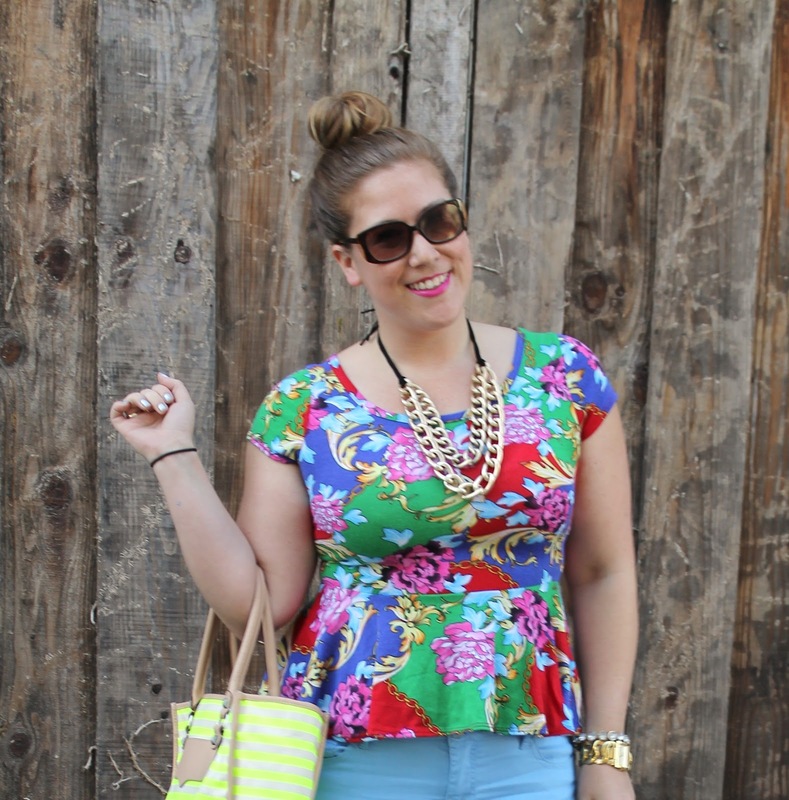 This peplum hits your waist in just the right spot! 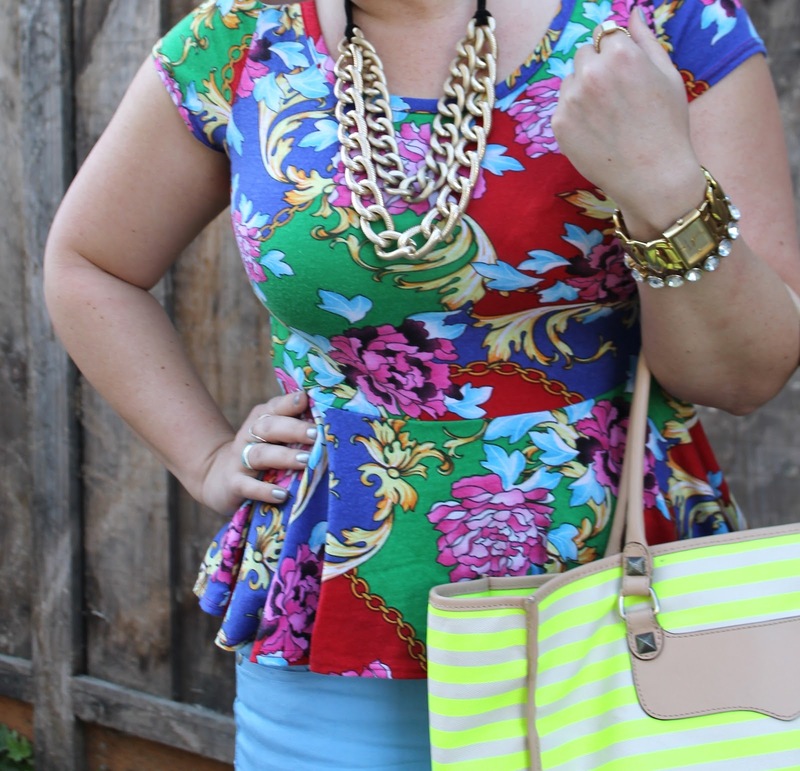 It's hard to find one that is well-balanced and you've hit the peplum jackpot- the pattern, the colors and the shape! Way to rock it!! So many great colors and if you only want to have a one peplum top you're gonna be able to wear this with a lot of things. I think it looks great on you! Love those espy's too! The peplum style is gorgeous on you! the bag is a nice unexpected addition. POP! Love the look. Ooh I love this whole look! 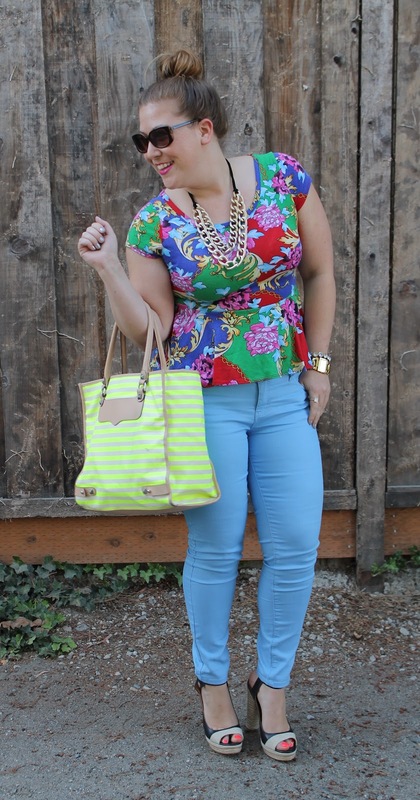 there's so much colour, which is totally awesome, and you're rocking that peplum printed top! You and I are riding the peplum wave together, and I love it! And BTW - this outfit is doing some major work. Work those shoes, work the peplum, work the neon. Awesomeness all around! I don't know if it's really a trend, but right now I can't walk outside without putting on a scarf--it just feels incomplete! I am currently stocking up on peplum tops because they make your waist look tiny! So cute and so ladylike! Love peplums!